The Joint Strike Missile (JSM) is being developed for the Norwegian Armed Forces. Image courtesy of Kongsberg. The Joint Strike Missile (JSM) performed a successful fit-check with Boeing's F/A-18F Super Hornet in November 2013. Image courtesy of Kongsberg. The Joint Strike Missile (JSM) weighs 400kg. Image courtesy of Forsvarsdepartementet. The Joint Strike Missile (JSM) is a fifth-generation, long-range, precision-guided, stand-off missile system designed by Kongsberg Defence Systems and being developed for the Norwegian armed forces. The missile system is primarily designed for integration with fixed-wing aircraft platforms to engage land and naval targets. It can be deployed to conduct anti surface warfare (ASuW) and naval fire support (NFS) missions in open sea, over land and littoral environments. 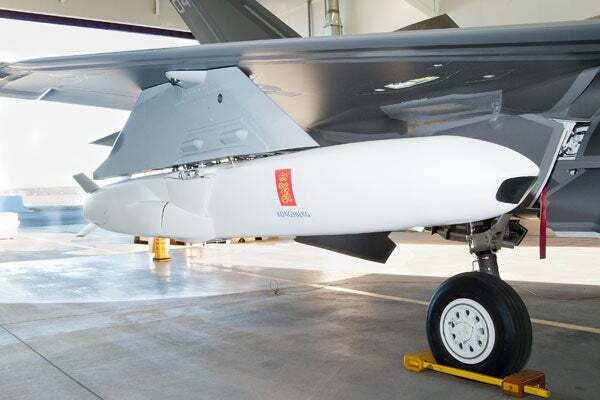 The Norwegian Defence Logistics Organization (NDLO) and Kongsberg signed a NOK1.1bn ($178.7m) contract for the third phase development and integration of the JSM with the F-35 Lightning II Joint Strike Fighter (JSF) aircraft in July 2014. The National Advanced Surface to Air Missile System (NASAMS) is a medium range, network centric air defence system designed and developed jointly by Raytheon and Kongsberg Defence & Aerospace, primarily for the Royal Norwegian Air Force (RNoAF). The complete JSM product is expected to be realised in 2017, whereas the integration of JSM on the F-35 fighter aircraft is expected to be concluded during 2022 – 2024. The full-scale production of the JSM is expected to generate more than 450 jobs. The JSM weapon system is being developed by Kongsberg based on the proven Naval Strike Missile (NSM). The NSM is currently under series production for the Royal Norwegian Navy (RNoN) and the Polish Navy. Development work on the JSM began in 2008 Followed by Kongsberg and NDLO signing a NOK166m ($25.11m) first phase development contract for the JSM in April 2009. NDLO awarded a NOK535m ($98.36m) contract for the second phase development of the missile in April 2011. NDLO placed a NOK543m ($100.3m) contract with Kongsberg in June 2011, to continue the phase II development of JSM until 2013. The second phase involved detailed design and integration check of the JSM for the F-35, F-16 and the F-18 aircraft. The Norwegian Government and the US agreed to finalise the JSM development and integration on F-35 fighter aircraft in June 2012. Kongsberg conducted a fit check of the JSM on the external pylons of F-35 JSF aircraft sourced by the US, in May 2013. Kongsberg and Lockheed Martin completed a second fit check of the JSM on the F-35 fighter aircraft’s internal carriage bay in June 2013. Kongsberg and Boeing completed a JSM fit-check on the external pylons of F/A-18F Super Hornet multi-role fighter aircraft in November 2013. Kongsberg and NDLO signed a bridging-phase contract worth NOK480m ($77.67m) for the third phase development in November 2013. The phase III development will involve completion of JSM development and procurement of several missile systems for testing. The Joint Strike Missile incorporates advanced composite materials and employs low-signature / stealth technology, thus offering a low radar signature. It offers superior flexibility in target engagement planning. The missile system is equipped with air intakes, wings and tail fins. It has a length of 4m and a weight of 400kg. The front section of the JSM incorporates an imaging target seeker to discriminate between land and non-targets. The middle section is equipped with fuel tank and a 125kg HE fragmentation warhead. The high-mobility JSM system is fitted with an accurate navigation system to support flight close to terrain. An advanced engagement planning system is installed to accurately engage targets using geographical information in the area. "It offers superior flexibility in target engagement planning." The missile offers stand-off launch capability for detection of land or sea based targets. It also provides sea control / sea denial over a wide area of operations. The weapon system is also capable of providing naval fire support and strike missions at long distances. The Joint Strike Missile system is equipped with a data link, which is compatible with Link 16 network and standard military equipment. The two-way networking data link allows the missile to exchange tactical data with aircraft after launch. It also ensures operators to perform target update, re-targeting, mission abort and bomb hit indication (BHI) during flight. Propulsion for the Joint Strike Missile system is provided by a small jet engine fitted at the rear. The engine provides high manoeuvrability, enabling the missile to intercept a range of targets. The propulsion system ensures the missile to reach a maximum range of more than 150nmi.